JCPS schools offer a range of courses that could potentially lead to college credit before students graduate from high school. Opportunities vary based on professional career theme and program capacity, so check with your school for the latest information. The Advanced Placement (AP) curriculum, developed by the College Board in partnership with university professors, culminates in a qualifying exam. AP courses are considered college-equivalent, and scores on the exams given in the spring may be accepted at many colleges and universities for credit. Each college/university (and sometimes colleges within a university) establishes its own policy about qualifying scores. There are more than 40 subjects available through the College Board. Visit the AP Central website for more information. The International Baccalaureat (IB) curriculum educates the whole student, developing the capacity for inquiry, research, and problem-solving as well as essential skills for communication and collaboration. IB is a member organization. To offer IB programming, the school must apply for candidacy and comply with the governances of the IB organization. IB offers programming for students ages 3 to 19, but only exams taken in the junior and senior year of high school can qualify as college equivalents. Visit the IB website for more information. The Cambridge International Examinations (CIE) curriculum and linked exams are internationally benchmarked as pre-university qualifications. To offer CIE programming, the school must apply for candidacy and comply with the governances of the CIE organization. CIE offers programming for 5- to 19-year-olds, but it is currently only available at the high school level in JCPS. Only courses at the Advanced International Certificate of Education (AICE) level are college equivalents. Visit the CIE website for more information. Dual credit and dual enrollment refer to college and high school credit earned simultaneously for the same course. Students can earn dual credit on the high school campus through partnerships with a postsecondary institution when specific faculty criteria are met. There may also be an opportunity to earn credit on the college campus. Opportunities vary, so students should check with their guidance counselor for details. Tuition and/or administrative fees apply. All high schools offer some form of dual-credit or dual-enrollment opportunities. 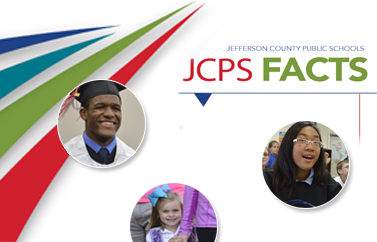 JCPS also offers online dual credit through Jefferson Community and Technical College (JCTC). Students who qualify can take the online course along with their face-to-face high school course or via the JCPSeSchool course. There is a fee for this program, which is called College NOW! Visit the College NOW! website for more information. Early College is a specific high school/postsecondary partnership imbedding college credit acquisition throughout the high school academic plan. Visit the Western Early College website for more information. Articulated credit is college credit awarded to students who enroll at the institution and meet the criteria in the agreement for high school courses or experiences. It is very important for students to know and advocate for these credits because they are not automatic. Students must work with their postsecondary advisor to be sure they get their credit if they qualify. The Kentucky Department of Education (KDE) negotiates statewide agreements with public colleges and universities. (See the link below for details.) A few of the district's 5-Star Schools also have specific articulation agreements with institutions that specialize in a particular field. For details, please check with your guidance counselor or technical teacher. Visit the KDE Articulation Agreements webpage for more information. Industry certifications and Kentucky Occupational Skills Standards Assessments (KOSSA) are aligned with specific business/industry standards and expectations. Every high school offers some form of Career and Technical Education and has a pathway that could lead to an industry certification or to KOSSA tests. The Career and Technical Education Department supports these opportunities.